Through Android, Google has always controlled only the software side of things in the smartphone world. They sold smartphones under the Nexus brand, but it was always through a partnership with certain OEMs which usually changed every year. Pixel smartphones were the first ever Google phones which didn't carry any OEM branding on it, but Google had a team of engineers working on the smartphone who were not exactly Google's employees. Now Google has acquired the team which worked with them for Pixel smartphones, and entered into certain agreements with HTC. 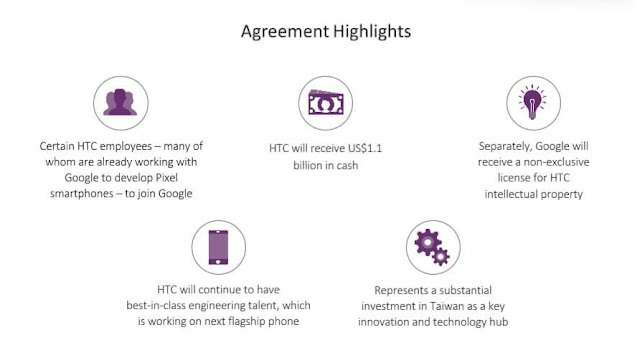 Google and HTC announced a definitive agreement through which a few HTC employees will join Google. Many of these engineers were already working with Google in developing the Pixel smartphones. 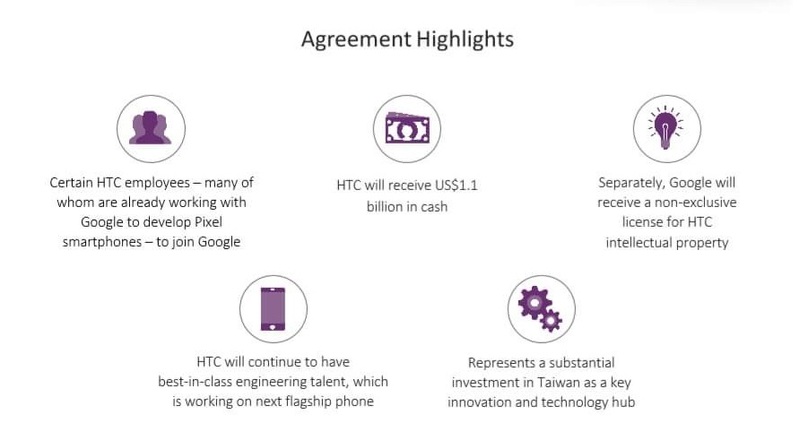 As part of this transaction, Google will be paying HTC $1.1 billion in cash. Google will also be receiving a non-exclusive license for HTC intellectual property (IP). The transaction will be closed by early 2018, subject to regulatory approvals and other formalities. HTC and Google have been partners since a long time in various projects, with HTC bringing the first ever Android smartphone back in 2008. Then they again partnered with each other to bring Nexus One in 2010, the Nexus 9 in 2014 and he Pixel smartphones last year. Even after this deal, HTC will continue manufacturing smartphones and other hardware products. This is Google's second such deal with a major manufacturer, the first was with Motorola 6 years ago. Two years later, Google sold majority of what it acquired for a fraction of the price at which it bought Motorola. Looking at the difference in the prices at which it was bought and then sold, the Motorola deal seems like a price Google paid to acquire certain important patents. Now with a move that is aimed at becoming a hardware manufacturer themselves, Google seems ready to take on Apple with complete control over both the aspects of a smartphone - software and hardware.